Have an old pair of boots you'll never use again in your closet? 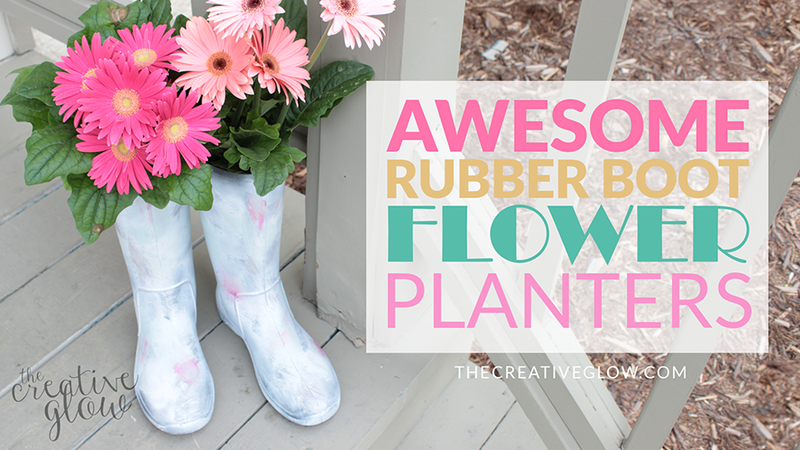 Learn how to use them for Garden Boot Planters here. If you’ve followed our site for any amount of time, you’re familiar with our love of DIY planters of all stripes. If there’s anything better than making your own perfect little container garden, it’s doing it for free with stuff you already own! What’s a better ready-made container than a boot? Not many items sitting around our homes have as much built-in potential to carry plant life than a solid set of old boots. 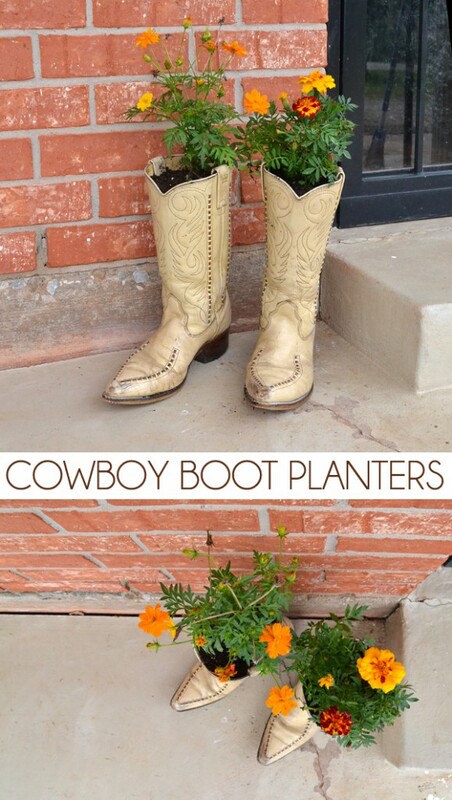 No matter what style of boot you begin with, you’ll be able to craft a top notch DIY planter in a very short time. We searched around and gathered 7 of our very favorite DIY garden boot planters from some great blogs around the Web and shared their stories here. One you see the gorgeous results, you’ll want to check the source link below to see the full breakdown of how to accomplish each project on your own. 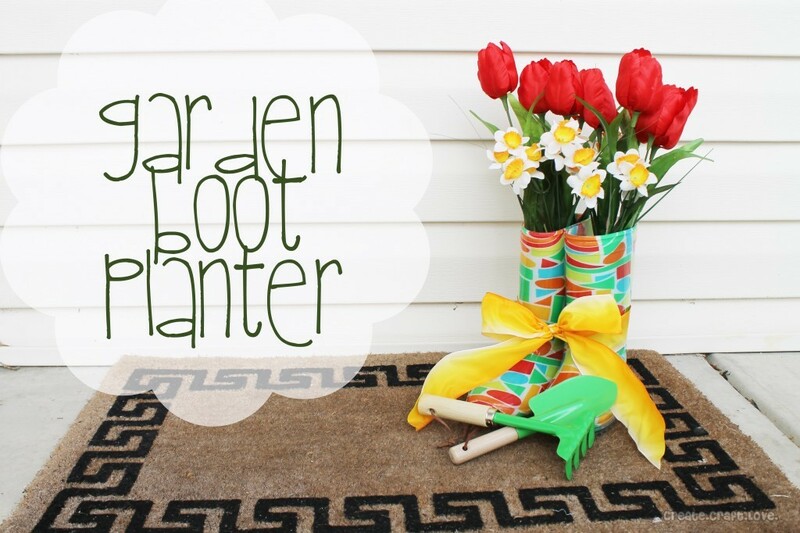 Of course, you can use this list as a springboard for your own ideas, a bit of inspiration to help you along the way as you craft your own garden boot planter. Let us know if you’ve got some ideas that we’ve missed here! One of the coolest aspects of this project is the idea of filling the very bottom of the boots with concrete or gravel to weigh them down, especially useful if they’ll be exposed to any amount of wind. Leather is naturally a very solid material that will hold your plants well without needing a plastic liner, but you might want to use one if you aim to preserve the material at all. The best part? Cowboy boots are just cool looking! This will add some instant charm to your flowers. This project is actually aimed at those who want to beautify their home or patio with a little something extra; that extra is the fact that these are filled with faux flowers for a year-round look that will never diminish with weather or neglect. Sometimes we garden for the pure joy of growing plants, and sometimes we just want a burst of beauty to enjoy. This one’s a great project to work on with your kids. Similar to the cowboy boots, this project aims to weigh the boots themselves down with a bit of gravel before getting into the nitty-gritty of dropping the soil in and planting. With solid rubber boots like these, you’ll want to cut small holes for water to drain; you can do this with a knife or any slender, sharp object. Once you’ve got the holes and some weight in the bottom, plant away and fill it with something bright and contrasting, as pictured above. We’ve mentioned involving the whole family, especially children, before. 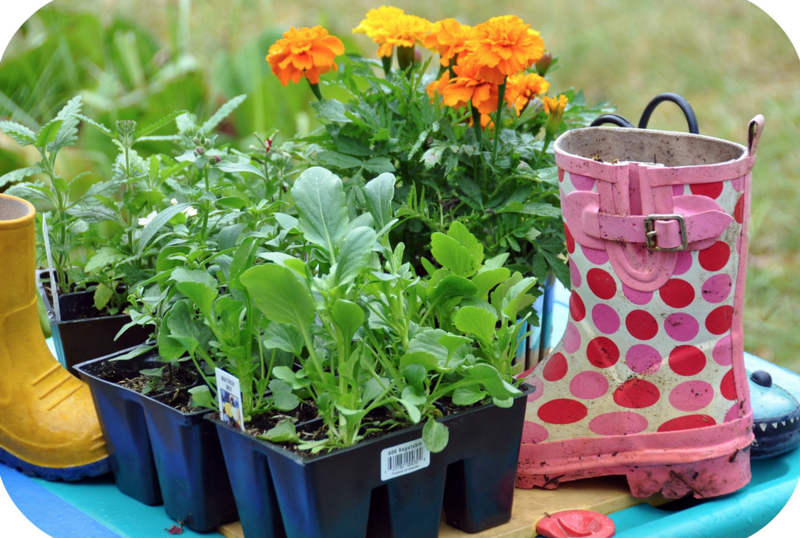 Gardening is a holistic activity that can and should be enjoyed with others whenever possible, and it’s something super valuable for your kids to learn as they grow. Kids love to be creative and they truly love seeing their creations on display. With a length of twine and a nice place to hang, you can show these boots off on your patio or anywhere else around the home. 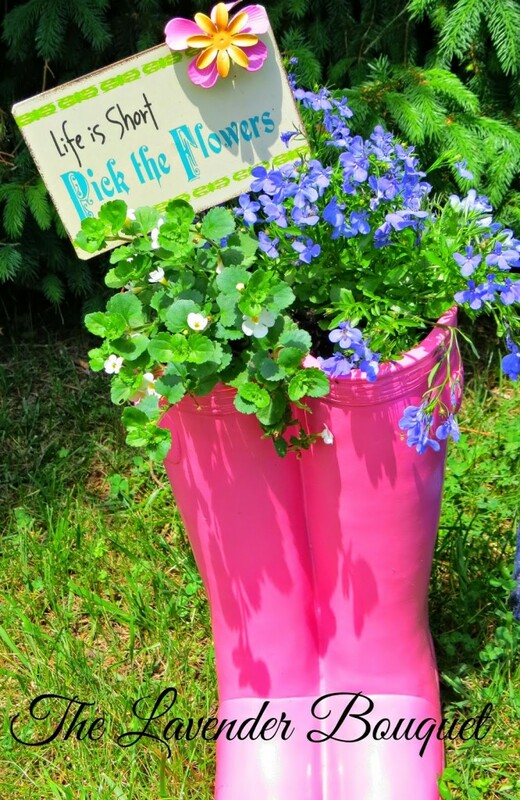 The main difference with this fabulous and fun garden boot idea is that it’s designed to be replicated for a set of multicolored, flashy boot planters that can be arranged in any setting you prefer. 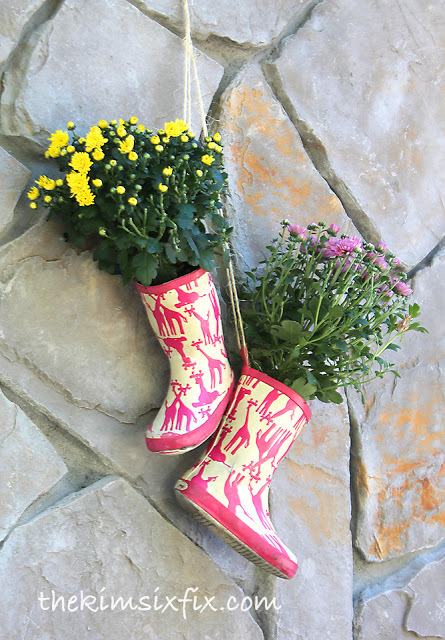 When your kids are growing, they’ll inevitably age out of many pairs of boots and shoes over the years, so it’s a perfect opportunity to make a fun set of planters. As you can see in the above photo, the unique facet of this project is the idea to paint the boots, adding a fresh layer of creativity and personalization to the results. After the standard hole drilling in the bottom, you can use a bit of sandpaper to lightly scuff up the surface of the boots before applying acrylic paint in whatever color or design your heart desires. It’s a more artful take on this fun and easy project that barely requires more work! If you look closely, you’ll notice something a little different with this set of rain boots. Instead of actual wearable boots, the project begins with a specially molded planter you can purchase at Cracker Barrel! We’re sure they can be found elsewhere, so don’t worry if you don’t have that restaurant nearby. Since making a purchase kind of cheats the whole “DIY” aspect, we encourage you to paint the planter however you please. The cute little sign is like the cherry on top of a sweet Sundae! 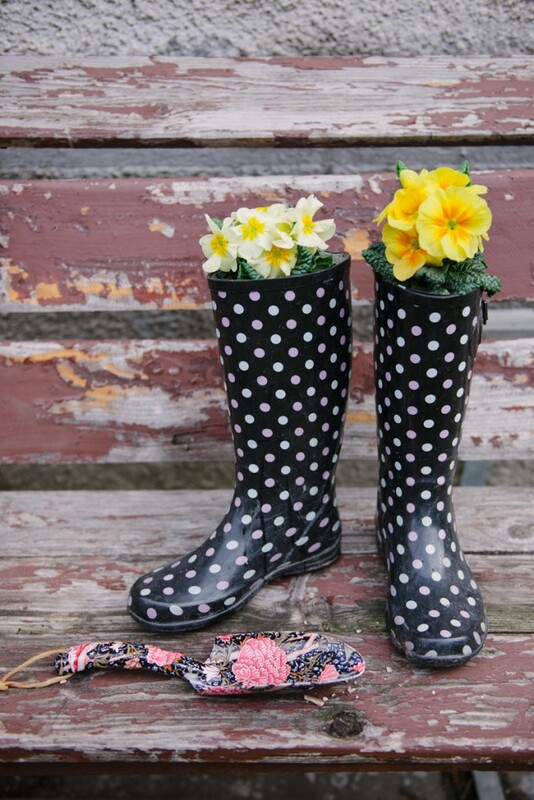 So there we have it folks, our seven favorite garden boot planter ideas. They’re all incredibly easy to make and allow for a surprising amount of creative wiggle room. Whether you’re doing it for yourself or with the whole family, it’s a super fun project.